This a list of information which complements our products. PMDX does not create or control the information that you will find using the resources below. We generally believe that the information will prove useful, but have not independently verified the information or extensively tested the products listed. Inclusion or failure to include any particular forum or product should not be considered a judgement about it. The products listed below are NOT products of PMDX. If you need technical support please contact the vendor directly or use one of the many forums listed below. The people and firms listed below are independent businesses that offer CNC machine retrofits and system integration services for a fee. They are not employed by PMDX and have no contractual obligations to recommend or support our products. We list them because we either know and trust them, or have had others recommend them to us. If you work with Mach, EMC, or similar systems and wish to be listed here, please contact PMDX. NOTES about the groups on YAHOO - All these groups are available via web browser and by e-mail. It is possible to sign up by e-mail or by the web pages. Please click on the forum name to reach the related web page and read the web pages for instructions. If you sign up on the web page, be sure to set your profile and preferences according to your wishes. Instructions for subscribe and unsubscribe via e-mail are also listed at the bottom of the main web page. Turning off HTML will make the advertising content in e-mails less intrusive. Digest form of the e-mail lists are available. CAD_CAM_EDM_DRO group on Yahoo. This is a very active forum for discussion of CNC and other electronic topics related to machining and manufacturing, including Computer Aided Design (CAD), CNC machine programming (CAM), Electro-discharge machining (EDM), and Digital position readouts (DRO). Almost every product or topic listed in other forums below is also discussed here. This is the largest of the groups listed and serves as a sort of home base for the hobby and small business CNC builders community. DIY-CNC group on Yahoo. Another off-shoot of the CAD_CAM_EDM_DRO group which focuses on home built CNC machine construction and use. alt.machines.cnc - newsgroup on the USENET. Open discussion of mostly CNC topics by commercial and hobby users of CNC machines. If you are not familiar with newsgroup usage click here. This page discusses the rec.crafts.metalworking newsgroup, but all concepts apply equally well to the alt.machines.cnc newsgroup. Chaski's Home Shop CNC Machining Board hosted by Chaski Telecommunications. A web forum for users of CNC in the home shop. 7x10minilathe group on Yahoo. Support group for users of the small lathes imported by Grizzly, Harbor Freight, and others. ahha_cnc group on Yahoo. Support group for users of AHHA machine control software. Mach1Mach2 group on Yahoo. Support group for users of Art Fenerty's machine control software. Very active group with lots of users of all types of CNC devices including routers, engravers, milling machines, lathes, and plasma cutters. MaxNC-users group on Yahoo. Support group for users of MaxNC milling machines. sherline group on Yahoo. Support group for users of Sherline lathes and mills. taigtools group on Yahoo. Support group for users of Taig lathes and mills. turbocnc group on Yahoo. Support group for users of DAK Engineering's TurboCNC machine control software. EMC list on SourceForge. This is the technical forum for EMC developers and people debugging EMC problems. See also the EMC website. USERS_BobCad_Cam group on Yahoo. Support group for users of BobCAD cad/cam software. SheetCAM group on Yahoo. Support group for users of SheetCAM, a low cost CAM software package. VECTOR forum at IMService. Support forum for Vector CAD/CAM products. yeagerautomation group on Yahoo. Support group for users of CNC-Pro machine control software from Yeager Automation. 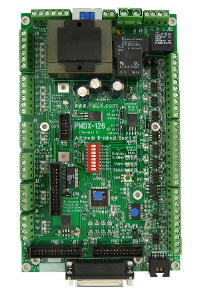 NOTES about machine controller software: Many of the software programs listed below utilize the parallel port of an IBM style personal computer to generate pulses to run stepper motors. These programs can run stepper motors, or using step-servo drivers they can run encoder-feedback servos. Some programs (DeskNC for Windows and FlashCut) utilize an external pulse generator connected via a serial port. These can also run both stepper motors and step-servos. True analog servo control requires software that can read encoders and also provide analog servo control signals via a digital to analog interface. EMC can provide this type of control. EMC - Enhanced Machine Controller software from NIST. This software, originally written by a department of the US government, is free and in the public domain. It runs under a real-time version of LINUX and offers high end performance on milling machines for those willing to learn how to install and use it. It will run stepper motors, step-servos, and analog servos. This software is not "sold" and is supported by its public users. Source code is available. More information can be found on the www.linuxcnc.org web site. TurboCNC - Machine control software from DAK Engineering that runs under DOS. Supports milling machines and lathes, including threading with simplified spindle feedback. Runs stepper motors and step-servos. This software is "shareware" with access to the source code provided for a low cost fee. The lack of a Windows GUI is more than made up for by its simple installation, low cost, and support for lathe threading. DeskKAM - Clarken provides CAD/CAM and machine control products at modest prices. DeskNC and DeskNC for Windows are low cost commercial products that provide machine control. DeskKAM and DeskART provide support for code generation for machining and engraving respectively. AHHA - Sadly AHHA is now out of business. They provided machine control software, interfaces, and stepper motor drivers for the serious hobbyist and commercial users. Software runs under DOS. It has good support for macros and machine enhancements such as tool changers. It has options for full support of lathe threading using spindle speed feedback. Link now points to Yahoo support group for Ahha users. CNC-Pro - Originally created by Yeager Automation, CNC-Pro is now freeware. It provides machine control software for stepper motor systems running under DOS. Lathe threading is not supported. Link is now pointed to Yahoo group that maintains the software. CNC Zeus - A low cost machine control software program for stepper motors systems running under DOS. Focus is on simple to use and reliable. Supports cutter compensation and subroutines, but not constant velocity. Mach - In the Mach series of products Art Fenerty of ArtSoft provides low cost software for machine controllers running under Windows using advanced system level drivers to do pulse timing for stepper motor and step-servo systems. This software is derived from the EMC software from NIST and expands on the good features of EMC. The active user base, rapid development, and great support make this a winner. Source code is not available but powerful interfaces for user expansion are provided. Analog servos are not supported. FlashCut - FlashCut CNC provides software and interfaces running under Windows to control stepper motor and step-servo based CNC machines. FlashCut systems are more expensive than most in this list, but offer elegant controls that are simple to install and simple to use. 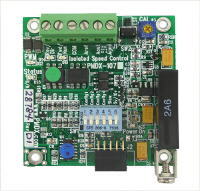 Control is via a serial port connection to an external interface which they provide. FlashCut also offers drivers, retrofits, and complete machines. True CNC controlled threading on a lathe is not supported at this time. KCAM - Kellyware offers this stepper motor control software running under Windows for routers and engravers. It is available as a moderately limited shareware version with a low cost upgrade to a full version. This software will import G&M code, Gerber photoplot files, Exellon drill files, HPGL, and DXF files. Moderate performance, but great flexibility for those on a budget. Stepster - An open source program, written in compiled Power BASIC running under DOS. It runs CNC machine tools with stepper motors. DanCAD/CAM - DANCAD is the granddaddy of the shareware for CAD and machine control. It runs under DOS and provides CAD drawing capability and stepper motor control of milling/routing machines. Somewhat different from most other programs for metalworking, but has lots to offer. LinkMotion - A device driver for Windows that can install as a printer device and operate 3 axis motion controls using step and direction signals sent via the parallel printer port. Allows the use of engravers, laser cutters, etc. directly from programs like Corel Draw and AutoCAD. A "printer" properties dialog is used to configure the machine configuration parameters such steps per unit distance, and motor accelerations. BobCad - A moderate priced CAD and CAM system for CNC users. Provides drafting and G&M code generation for CNC users. Dolphin - Dolphin CADCAM Ltd. offers a moderately priced CAM system for CNC users. This software is somewhat more task oriented and friendly to machinists who do not wish to do traditional CAD drawings. Discounted prices for hobby users and demo downloads are available. SheetCAM - A low cost CAM software package. Accepts DXF or HPGL files and generates G code for CNC controls. Very popular among Mach2/3 users. D2NC - A low cost conversational G-code generation wizard for use with Mach3 control software. Stepper Motor Theory - A more advanced explanation of stepper motors by Haydon Switch and Instrument company. Engineering Reference for Motion Control - Loads of information about all types of motors, screws, gears, and drive systems provided by Parker/Compumotor. This is NOT marketing material, but rather great technical tutorials. Tutorials on Servo Systems - From Galil Motion Systems, great information about tuning and design of servo systems. Warp 9Tech Design - Maker of the SmoothStepper controller that uses the USB interface and runs under Mach software for CNC control. 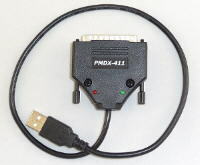 Popular solution for users who cannot use a conventional parallel port or who need very high step rates that are not workable with a parallel port. Automation Direct - A good source for industrial electrical components of all types. Factory Mation - A good source for industrial electrical components of all types. Automation Technologies Inc. (formerly Keling) - Importer and seller of affordable stepper motors and other motion components. GeckoDrive - A good source for affordable stepper motor and step-servo drivers for medium to large motors. ViperServo - Drivers for brush type DC servo motors and accessories. Includes higher power up to 170 VDC and 30 amperes. HomeShopCNC - A source for ballscrews, motors, and other CNC conversion parts. HobbyCNC - Sells motors, drivers, conversion plans, and software. Little Machine Shop - Parts and accessories for small imported mills and lathes. Ron Steele - Detailed plans for converting mini-mills and mini-lathes to CNC.